While it's not clear if it was intentional to make this information public, the successful downing of a small, aerial vehicle in a controlled environment took place in late 2017. "Something that's unclassified but not well known, we recently in November… launched an air-to-air missile against a maneuvering target that scored a direct hit," US Air Force Col. Julian Cheater said in an interview with Military.com. Cheater is the commander of the 432nd Wing at Creech Air Force Base in Nevada. "It was an MQ-9 versus a drone with a heat-seeking air-to-air missile, and it was a direct hit," the colonel said, underscoring that the novel kill was "during a test." In air-to-air combat, the Reaper may be serviceable in fighting small hostile drones, but its top speed of 300 mph makes it vulnerable to virtually any modern jet aircraft it might go up against. 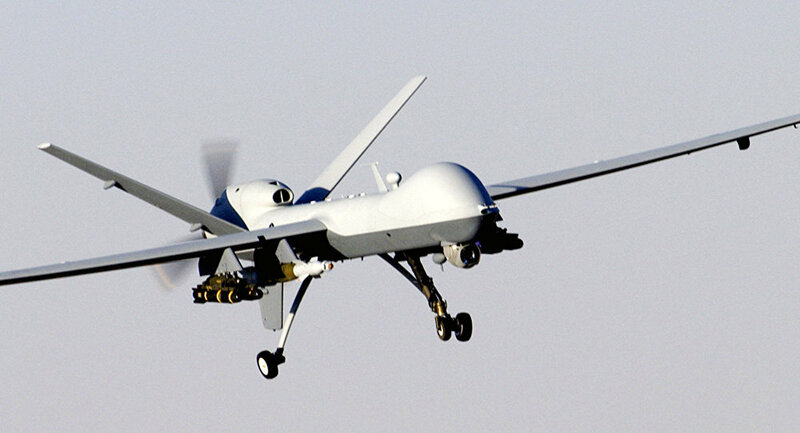 Down the line, the service may insert the Reaper into joint operations with conventional attack aircraft to keep the drone flyable against aerial opponents. "We develop those tactics, techniques and procedures to make us survivable in those types of environments, and, if we do this correctly, we can survive against some serious threats against normal air players out there," Cheater said. The colonel added that air crews would go to Red Flag to test the drone's capabilities, an exercise that's considered one of the most advanced and realistic air combat trainings for the US and its allies. It's not clear when that two-week training step will take place, however, Red Flag is typically held several times per year at Nellis Air Force Base, which is also in Nevada.